• Follow the signs to exit 4 and turn right when you get out to the sidewalk. 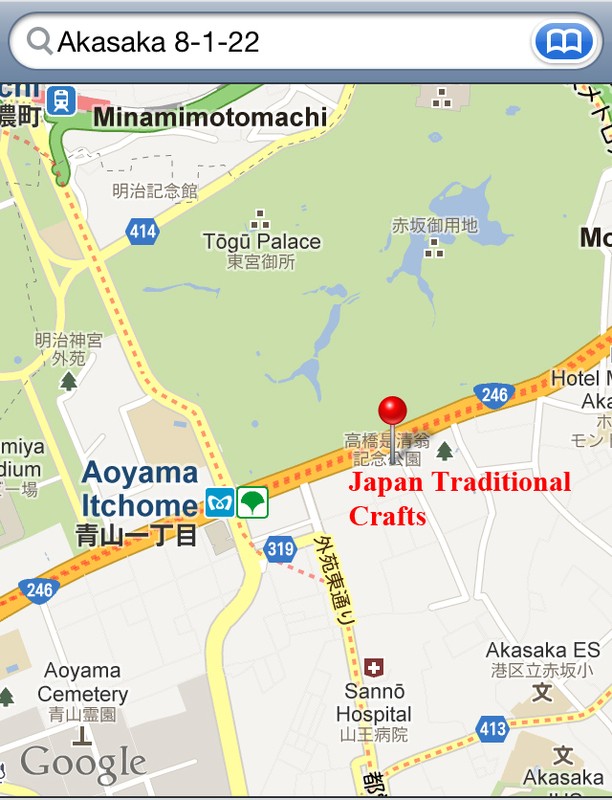 • Japan Traditional Crafts is about a 3 minute walk, on your right. It’s at street level in the Akasaka Oji Building.